NORTH CAROLINA. (ABC NEWS) – Hurricane Florence, a Category 4 storm that continues to strengthen, is bearing down on the North and South Carolina coasts, forcing residents and visitors to evacuate. Florence is packing maximum sustained winds of 130 mph Tuesday morning. Winds could reach nearly 150 mph Tuesday night or Wednesday, just shy of Category 5 strength. 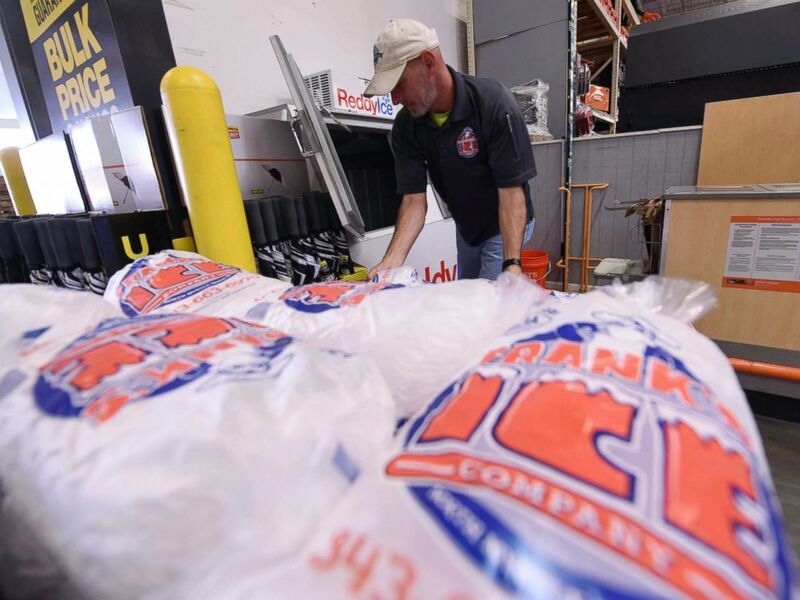 The storm is expected to make landfall along the North Carolina coast Thursday night. 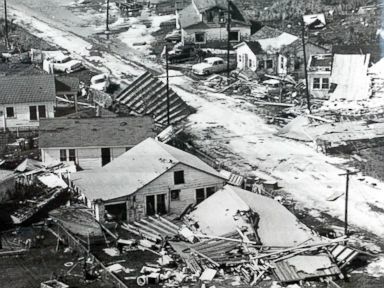 “We here in North Carolina are bracing for a hard hit,” North Carolina Gov. Ray Cooper said Monday. Florence is projected to make landfall as a Category 4 storm in the early morning hours of Friday. 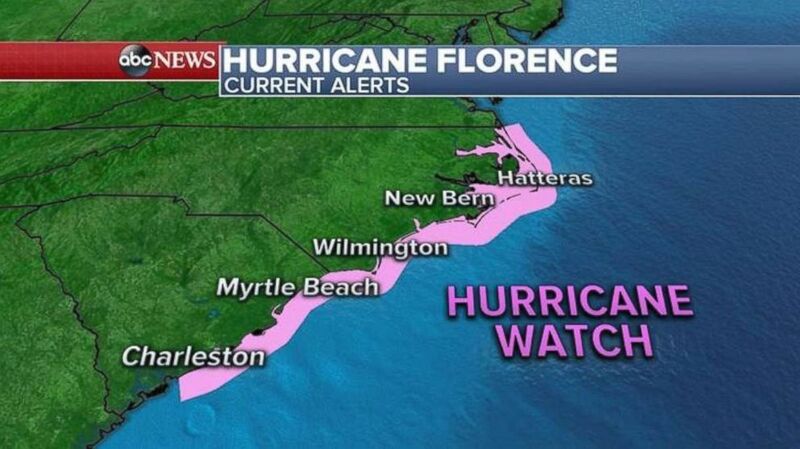 The first hurricane watches were issued for the South Carolina and North Carolina coasts on Tuesday at 5 a.m.
Storm surge is also a major threat, potentially reaching 12 feet in some areas. Another danger is flooding. The storm is expected to slow as it moves onto land and could dump as much as 30 inches of rain. The rain is also forecast to be heavy in Virginia and could move inland, impacting West Virginia and Tennessee. 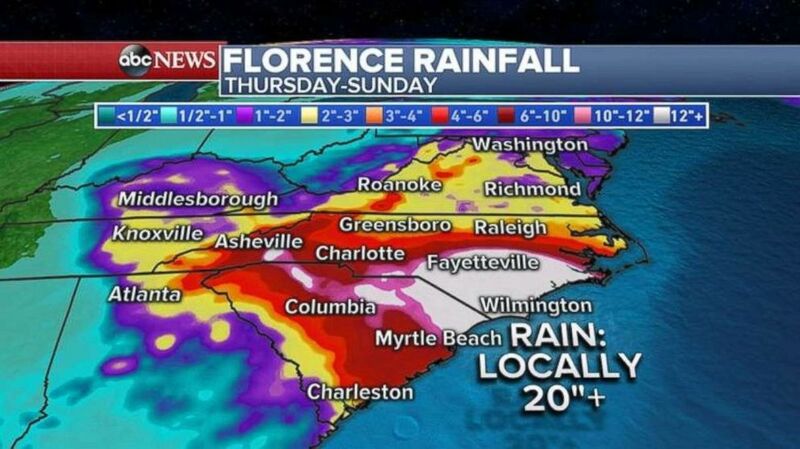 More than 20 inches of rain could fall in parts of North Carolina and northeast South Carolina. States of emergency have been declared in South Carolina, North Carolina, Virginia and Maryland, with President Trump approving emergency declarations in South and North Carolina. Residents and visitors on South Carolina’s coast are ordered to evacuate beginning at noon on Tuesday. Coastal areas of North Carolina started evacuations on Monday, with a second wave Tuesday. Evacuations were also ordered along the Virginia coast for about 245,000 people, according to Gov. Ralph Northam. Schools are also packing up, just days into the new year. 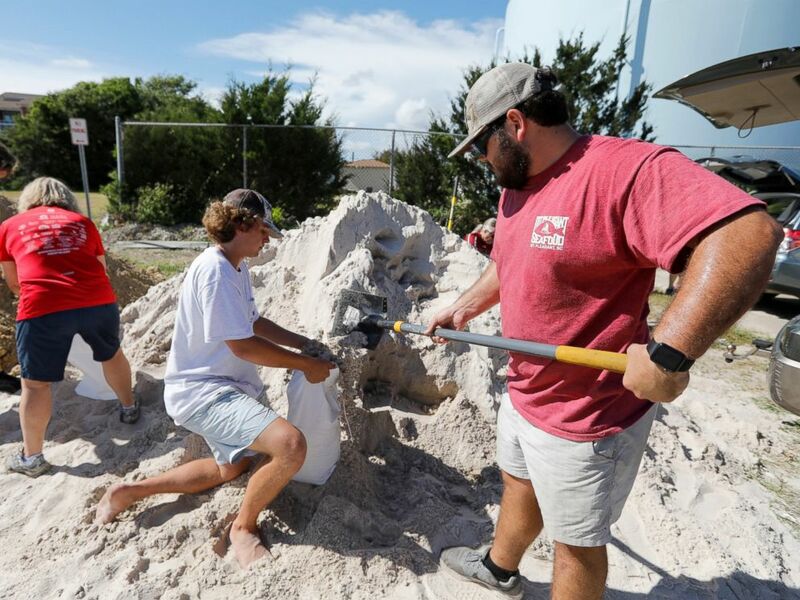 North Carolina State, University of North Carolina and UNC-Wilmington have all suspended classes, with UNC-Wilmington evacuating its coastline campus by noon Tuesday. 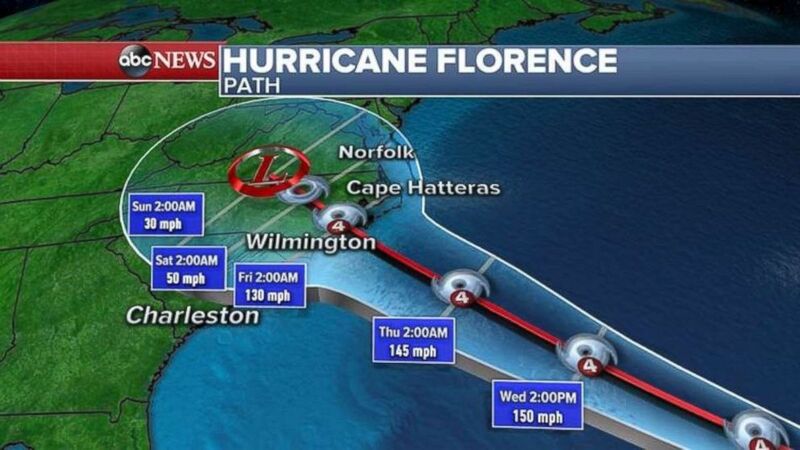 In South Carolina, schools including The Citadel, Coastal Carolina University and College of Charleston have all closed until further notice.